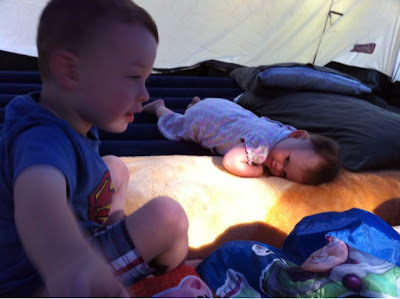 This weekend was our first time camping with cloth (N's first camping trip ever). This was also my first time camping in almost two years. Needless to say, a few tricks for making the trip go smoother had been forgotten. And I have a major sunburn on my back & shoulders that makes me wish I could sleep it off. Oh yeah, and it rained pretty much the whole second day. 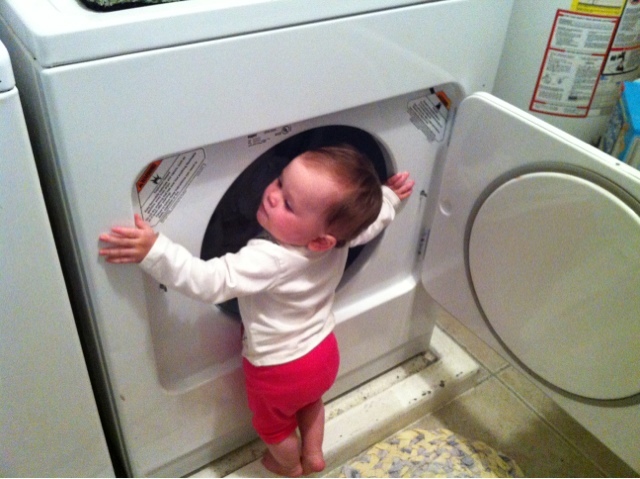 As far as the diapers went, though, it all went off without a hitch. I brought a dozen GMD flats, plus a few receiving blankets, some diaper pins, fleece liners, and my Thirsties Duo Wraps. Once the car was unloaded, I set up the back of our Explorer as a pretty sweet changing station. I even left our suitcase in there. 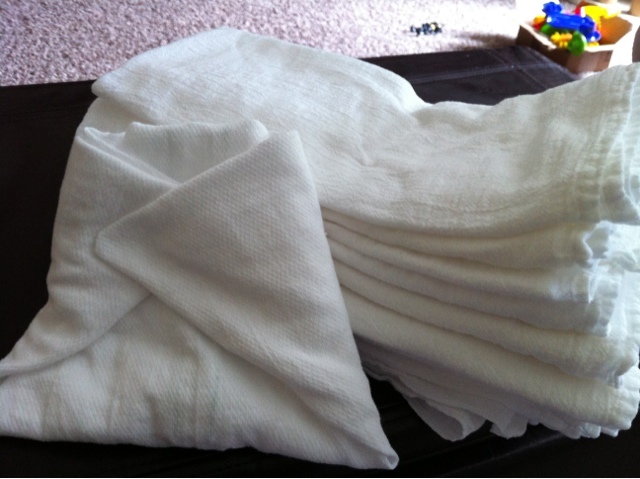 I don't have a dedicated changing pad (but oooh I would love to get one), so I folded up a fleece blanket to lay N on. I had my bag of diapers and wipes to the side and hung my large Planet Wise hanging wetbag from a hook in the car. Worked like a charm. This trip served as a good run through for our next big (longer AND further from home) camping trip. This was also my second trip using GMD flats exclusively. Whatever love for flats I developed during the Flats Challenge while using flour sack towels has increased by about 1,000 with these flats. They're bigger (I bought green edge/ large), thicker, more absorbent, and somehow flatter. Not flatter as in thinner, obviously. I mean, I don't feel the need to iron these just to get a decent fold. They stay pretty square AND the edges don't curl up. I still want to get a half dozen Swaddlebees flats to try out, but I am VERY happy I got these. 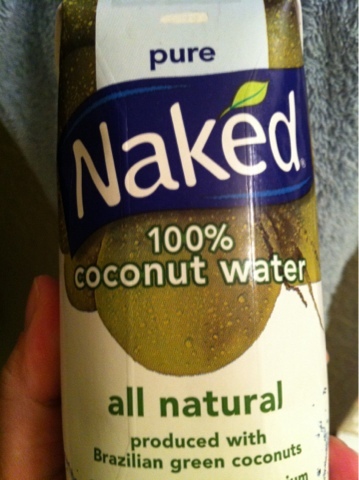 On a side note, this stuff is AMAZING. I got the tip from So Hollywood on Twitter. She read about the bad sunburn and suggested I try coconut water - to drink as well as to apply directly to your sunburn. She equated it to the magical healing powers of breastmilk. It's been years since I've had a burn this bad (I'll spare you the pictures), but I am not blistered or peeling and I think this had something to do with it... just a little FYI for you as we're getting into the swing of summer. *This post contains some affilliate links which support my cloth diapering addiction.